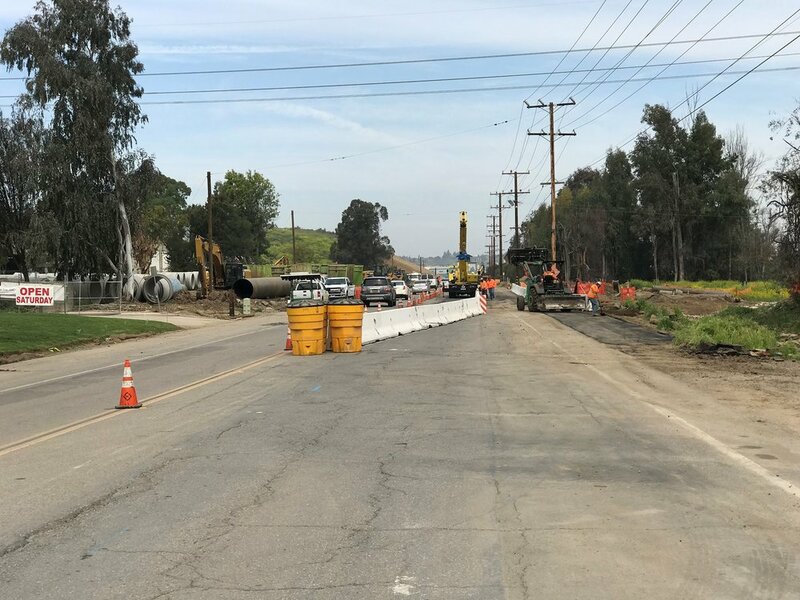 March 27, 2019, Temescal Canyon Road Widening Update - The contractor is currently working on slope grading, storm drains, utility relocations, and retaining walls along Temescal Canyon Road from Dawson Canyon Rd to Dos Lagos Dr.
A water main crossing Temescal Canyon Road just north of Dawson Canyon Rd is being replaced. The waterline will be shut off for about 2 weeks starting March 28, 2019. Traffic at this location is being pushed on to the shoulders where temporary pavement has been added, so that crews can work behind concrete barriers in the center of the street. Water service to the affected areas will not be impacted, but alternate water sources will be challenged – please be water wise. 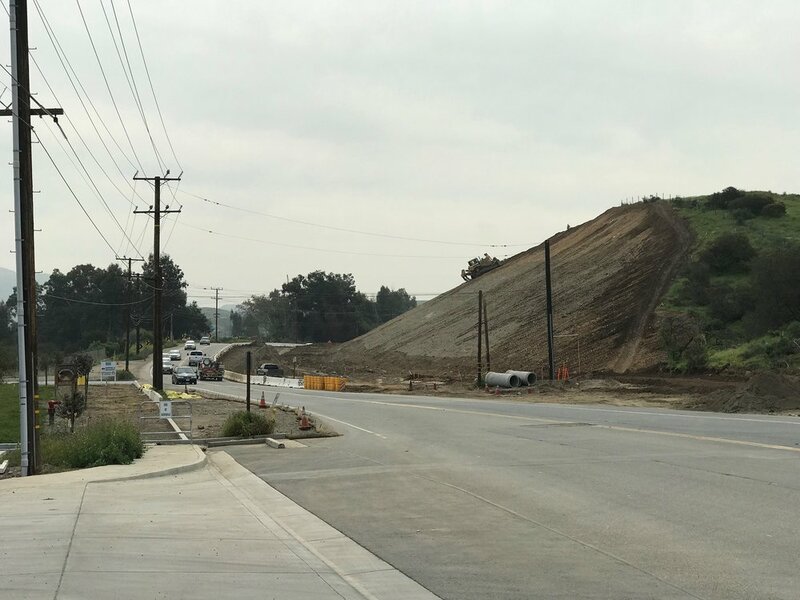 Slope excavation just north of the water main replacement is nearing completion, and erosion control measures should be added next week. Various utility and storm drain locations along the street are being worked on and will have traffic flagging to allow crews to work on the street at those locations. Retaining walls south of Dos Lagos Dr are being worked on and will start seeing masonry blocks being placed next week.